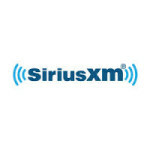 For the first time ever, Sirius XM will be out at the Coachella Music Festival for both Weekend 1 and 2, broadcasting live performances and artist interviews. The main broadcast will air on Alt Nation ( channel 36), with live performances spread out over XMU (35), The Spectrum (28), BPM (51), and Electric Area (52). Who knew they had all these music stations, and here I thought the only music station was Sirius XMU. Radio personalities Jenny LSQ and Jeff Regan will oversee the broadcast. Unfortunately, DJ Joziah and Julia “Cunningham” will stay back home to man the controls. Visit the Sirius XM Coachella page for all the details. Have fun enjoying your pretend Coachella weekend.